The BriteTap cleaning brushes give you the tools you need to keep your Brite Tap waterer clean. 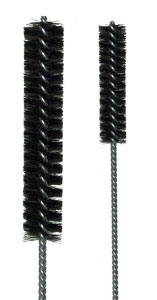 ¾ inch (19mm) brush for interior chamber of the BriteTap waterer. ½ inch (13mm) for scrubbing the threaded connector section.